President Donald Trump’s reported call for a rapid withdrawal of U.S. forces from Syria comes in stark contrast to statements by his own national security adviser, military leaders, members of Congress and the larger strategic aims laid out to aid Kurdish forces, and counter both Iranian and Russian influence. 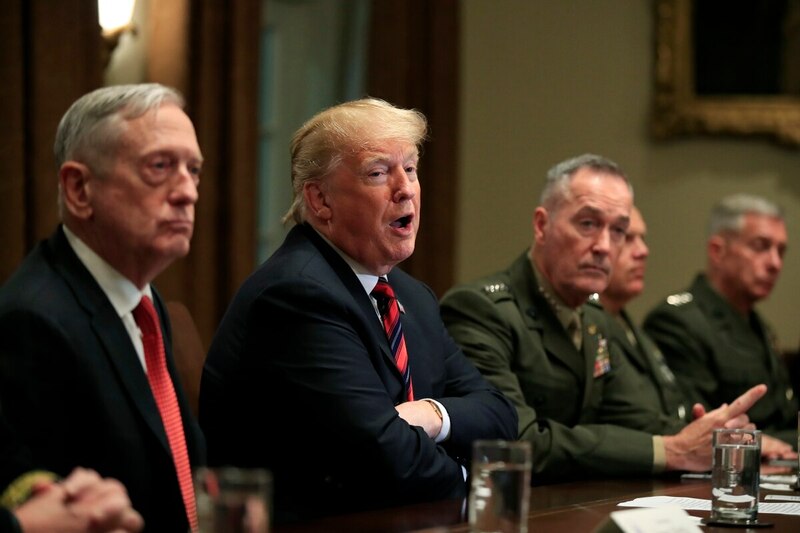 Trump’s statement about victory over ISIS and subsequent media reports about a withdrawal of the estimated 2,000 U.S. troops from Syria surfaced Wednesday, seeming to catch Pentagon officials flat footed. The move counters public statements by national security adviser John Bolton to the United Nations in September that seemed to remove withdrawal from the options, even after ISIS was defeated. “We’re not going to leave as long as Iranian troops are outside Iranian borders, and that includes Iranian proxies and militias,” Bolton said at the time. 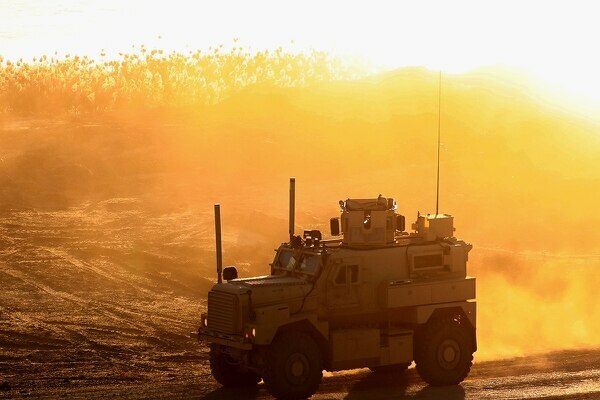 The Department of Defense released a short statement Wednesday morning that echoes their work in the region since operations to counter Islamic State militants in both Iraq and Syria began nearly three years ago. “At this time, we continue to work by, with and through our partners in the region,” the Pentagon statement read, reiterating a standard line that is often included with routine news from the operation. Turkey’s leader said Monday he received “positive answers” from President Donald Trump on the situation in northeastern Syria, where Turkey has threatened to launch a new operation against American-backed Syrian Kurdish fighters. Officials for Operation Inherent Resolve, the counter-ISIS mission based in Baghdad, did not respond immediately to requests for comments and clarifications on Trump’s withdrawal plans. But on Dec. 15, OIR released a statement reassuring the public that they were continuing with their goals to defeat ISIS. “The Coalition mission in northeast Syria remains unchanged. We continue our normal operations, including observation posts in the border region to address the security concerns of our NATO ally Turkey. We remain committed to working with our partners on the ground to ensure an enduring defeat of ISIS. Any reports indicating a change in the U.S. position with respect to these efforts is false and designed to sow confusion and chaos,” according to OIR. Trump had mentioned as early as March that he was seeking a withdrawal from Syria, but sources indicated that top defense and security officials persuaded him to continue the mission. From Dec. 9 to Dec. 15 alone, the joint task force conducted 208 strikes consisting of 378 engagements in Syria, mainly near Hajin, Syria, one of the last strongholds where ISIS militants have been cornered. Those strikes took out a reported 140 fighting positions in that area. Graham added that after his own recent visit to Syria, ISIS is still not yet defeated and U.S. presence helps counter Iran. A withdrawal “mightily undercuts” both efforts. Sen. Marco Rubio, R-Fla., said a full and rapid removal of troops would be a "grave error with broader implications” beyond the fight against ISIS. The Journal noted that the move followed a talk between Trump and Turkish President Recep Tayyip Erdogan, who has threatened to assault the United State’s Kurdish partners in Syria. A force of as many as 2,000 U.S. troops are wedged between Turkish and Kurdish interests in Syria with the mission of ensuring an “enduring defeat” of ISIS. A confrontation between the U.S and Turkey, officially NATO allies, would create a geopolitical crisis at the heart of the world’s most powerful military alliance. The U.S. backs the Syrian Democratic Forces in that counter-ISIS mission. The SDF is a mix of ethnically Arab and Kurdish Syrian locals, primarily dominated by Kurds in the SDF’s chain of command. 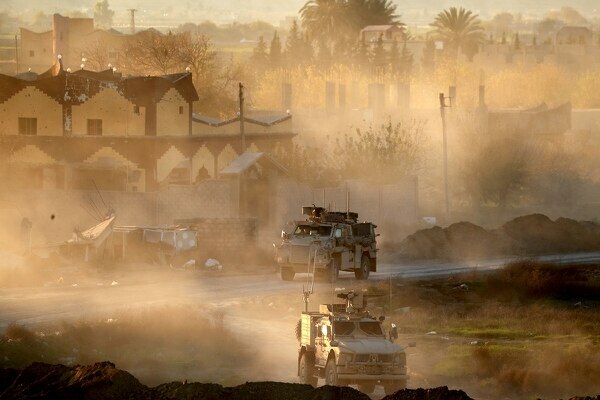 Backed primarily by U.S. air and artillery strikes, the SDF has retaken nearly all territory previously in the hands of ISIS in eastern Syria. This resulted in heavy SDF influence over areas where they have regained ground, especially near Turkey’s border. That has stoked Turkish opposition to the U.S.-Kurdish partnership. For Turkey, the Kurdish fighters, who they see as terrorists, represent another threat to their homeland. Defense Secretary Jim Mattis has noted the importance of U.S. troops on the ground to counter potential friction between the two U.S. allies. “By having our officers and NCOs on the ground, we monitor that they are using what we are giving them for support to go against ISIS,” Mattis said. But shortly after those comments from Bolton, there was pushback to what some experts viewed as an effort to expand the traditional counter-ISIS mission to also include a focus on countering Iran. Marine Brig. Gen. Scott Benedict, deputy director for the Joint Staff, reiterated that the U.S. role in Syria was to “defeat ISIS” but there are also side benefits. Some members of the House Armed Services Committee countered that if the mission were to expand or change radically, the president would need new approvals from Congress. Rep. Seth Moulton, a former Marine Corps infantry officer, called the statements by Mattis and Bolton inconsistent. “If we’re going to counter Iran, and we have an authorization to do so, we might have operations against Iran or we might simply have troops in the region. But either actually requires an authorization,” he said.